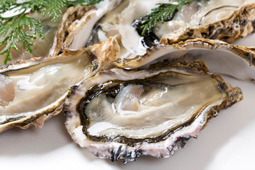 Oysters with Verjus Mignonette - A recipe from Savor California, the online showcase for extraordinary gourmet foods and beverages from California. Stir together and serve chilled. Makes enough mignonette for 2 dozen fresh, raw oysters on the half shell.